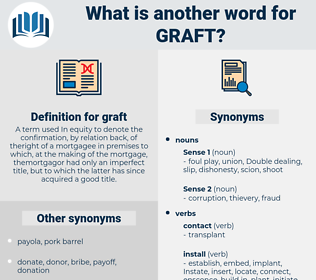 What is another word for graft? 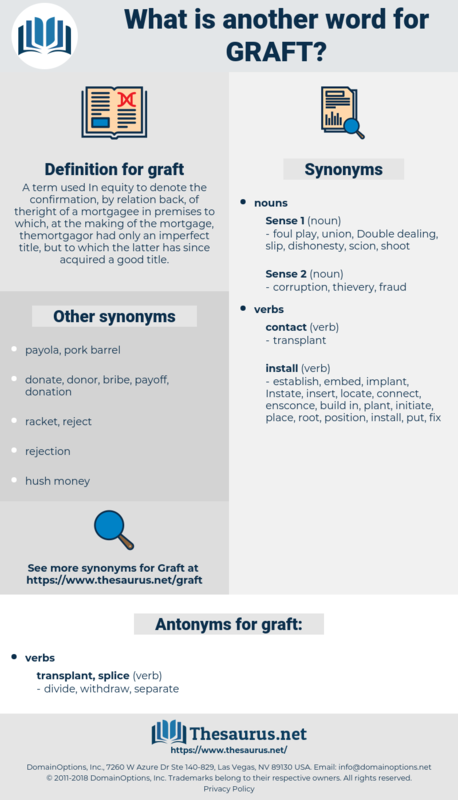 A term used In equity to denote the confirmation, by relation back, of theright of a mortgagee in premises to which, at the making of the mortgage, themortgagor had only an imperfect title, but to which the latter has since acquired a good title. Of course it is only a modification when the undertaking in question has some legitimate character, but the occasion is used to graft upon it devices for obtaining what has not been earned. homograft, allograft, autoplasty, xenograft, autograft, heterograft.